Battery Stand-by* 450 Hours (*Depends on phone setting, network). Battery Talk Time* 17 Hours (*Depends on phone setting, network). Security Blacklist, Privacy Lock & Phone Lock. 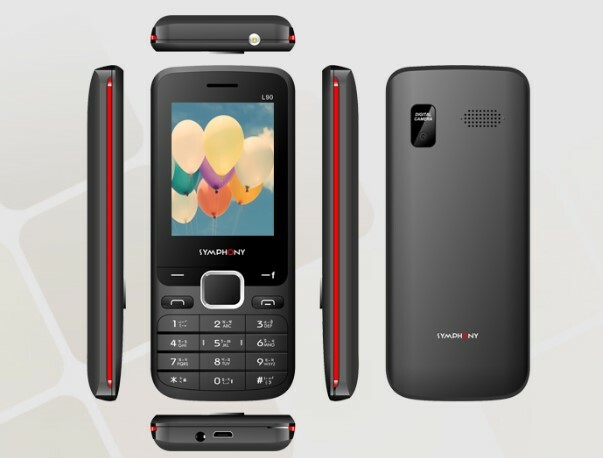 Features Torch Light, Wireless FM, Keypad Notification Light, Torchlight Notification, Facebook, Opera Mini, etc. Thanks for staying with us a long time and visiting Symphony L90 Price in Bangladesh & Specification article. If you have any question or confusion about the Symphony L90 BD Price? Just Comment here. We reply as soon as possible with a correct answer.